Listen to The Podcast: We Answer 8 of The Most Burning Questions When It Comes to Facebook Marketing. My name is Jandre and for those of you listening, this is the Version Eight podcast. So, we’ve decided to do a little Q n A session with our community every now and then. Usually, I’m joined by my partner Gilbert, however, today it’s just me flying solo. We thought it might be a cool initiative to experiment with. We’ve asked our community if they might have any burning questions when it comes to Facebook advertising, and today we will be answering some of them of those questions. This podcast is for all of you looking to improve your digital marketing and social media marketing skills. It’s also for the small business owner looking to grow their business. Question 1: Any Tips on How To Run Successful Facebook Ads? There are a lot of variables that impact the success of your Facebook ads, however, I would say the following four elements are crucial. These days Facebook is similar to a highway. Think about it, how many billboards do you see when you are driving alongside the road? There is a ton, right? But how many of them truly grab your attention? How many of them do you actually remember when you get home? Now, Facebook’s newsfeed is exactly the same. We scroll through our Facebook newsfeeds every day, we see ads all the time, but we don’t necessarily pay attention to all of them. So, in order to get noticed, we need to draw attention, and appealing creatives solves this for you. All that your creative is supposed to do is attract attention, after that, the reader’s eyes gravitate north to the ad copy. 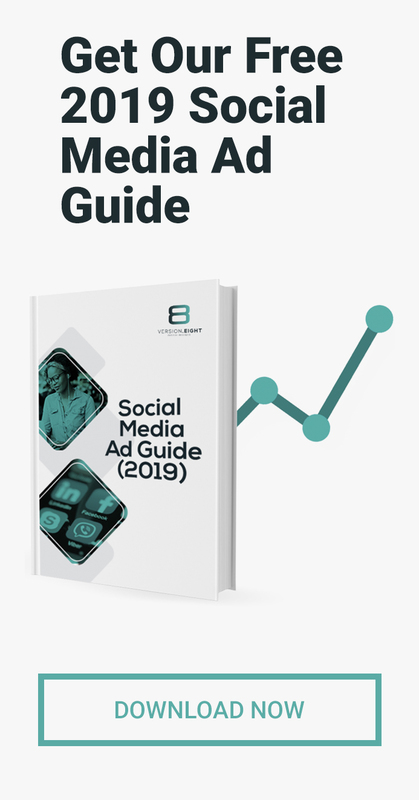 Because they now want to learn more about this topic, product or service that has grabbed their attention, and this is why your copy is the second most important element when it comes to running successful Facebook ads. The best ad copy triggers a form of emotion, for example, nostalgia or excitement. If you are trying to sell something on Facebook, then it’s essential to get the reader excited about your product or service. Sort out your creative and copy first, because, without it, your Facebook ads will be costing your money regardless of how well you set your targeting. In order to ensure your Facebook ads gets shown to the right people, you need to ensure you are targeting the right audience. One way to do this would be to ensure you spend some time in the interest targeting section of Facebook’s Ad Manager. We advise running a couple of tests when it comes to finding the perfect interest. A/B testing your ad sets is the best way to ensure you are allocating money to interests that are driving results. Lastly, you need to ensure that you are showing your Facebook ads to the right demographic. Your Facebook ad needs to resonate with the reader when it comes to their age, gender, and location, etc. For example, if you are selling a high-end product, you can target higher LSM suburbs. If you have a physical location then the last thing you want to do is target people that are 100km away. Question 2: How Can I Discover New Facebook Audiences For My Facebook Ads? This is an exciting question as the more frequently you can find new audiences, the easier it will be to scale your ad. If you have an existing customer email list, the first thing you need to do is upload that to Facebook. This allows you to ask Facebook to find people that look similar to your existing customer base. This means you will be able to find new potential customers. You can choose whether you want anything between 1% to 10% similarity, and all this means is, how similar should your new audience be to the email list you have uploaded. 1% means you will look for an identical audience, while 10% means you will be looking for a broader type of audience. Ideally, everyone wants a 1% lookalike audience, but that’s not always possible, and in cases when it’s not, you might have to broaden the scope a bit. You can do the same for Facebook page engagements, messages, event responses, etc. This is most definitely the best, and most effective way to find new audiences on Facebook to show your ads to. Question 3: What Are Some of The Best Resources to Learn Facebook Advertising? However, if you need curated content, have a look at LinkedIn Learning. A subscription costs around R300 a month and you can literally learn anything you want including Facebook advertising. After that, I would say have a look at Udemy, they always have great courses at a very reasonable price. Ensure to also have a look at HubSpot. They have some free Facebook marketing courses on their website which is worthwhile looking into. Keep in mind that all these courses are not fully accredited, and if you are looking to build a career out of social media marketing, it might be a good idea to opt for an accredited course. An accredited Digital Marketing College we would recommend is The Digital School of Marketing. In my opinion, the best software you can use to run Facebook ads would be Facebook Ads Manager. Yes, there are plenty of other third-party apps available, however, I found them to be a bit buggy. Usually, we will have inaccurate readings, data importing issues, not to mention, reporting issues as well. Also, keep in mind, Facebook often releases a new advertising feature every couple of weeks. These features are usually only incorporated into third-party apps long after it’s been released by Facebook. Ideally, if you want to be running great ads, you need to leverage new ideas and tactics, and Facebook Ads Manager will make this possible. Question 5: How Can We Get a Lot of Facebook Likes Fast? Well, the first thing you can do is, run ads. However, if you are not keen on spending money on the platform, I would highly recommend doing Giveaways. Giveaways, unless they are spammy and of no value at all, still work, and it’s a great way to get people liking and sharing your content. Ensure you are sharing valuable content on your page. Don’t just post something for the sake of posting it. Ensure you have something of value to offer your community. If it’s worth sharing, they will share it. Instagram is famous for this tactic. Reach out to people in a similar or overlapping industry and ask them if they are willing to share some of your content. Offer them some love in return as well. Ideally, you want to reach out to someone that is just as big as you, as someone with a million likes might not get any value in you sharing their content to 500 followers. There needs to be value for both parties. Question 6: What Top Facebook Management Platforms do Brands Use? My first choice would be Sprout Social. In my opinion, it’s one of the better social media management tools around. Another great tool would be Buffer. Buffer in my opinion lacks accurate analytics and the data is not as in-depth as the insights you would get from Sprout Social. But I’m not a massive fan of their user interface, not sure if it’s just me but every time in in there it feels to me like I’m working with out of date software. There are other platforms you can have a look at like Agorapulse.. Even though I haven’t really used it myself, I think I only did a trial with them. There are a ton of smaller companies and startups arriving on the scene, however, my first choice would be Sprout Social. Question 7: What Would Be The Best Facebook Like Campaign Strategy? The best strategy today would be to run ads. People do not like pages organically like they used to back in the day, this is just a fact. I highly suggest running ads that are appealing and attracts the right attention. On top of that, maybe think outside the box when it comes to your page like ad. One thing we did that worked really well was to add a Giveaway on the page like ad banner. This not only popped out in the newsfeed, but people were more likely to like the page and enter the comp so we killed two birds with one stone. Click-through-rates also went up and we saw a massive drop in page like costs while seeing an increase in organic likes. Question 8: What is Facebook Insights and What Can People See When You Viewed Their Profile? Okay, so, first of all, this is not LinkedIn. With LinkedIn you can see who viewed your profile, and you can then click on that users profile to learn more about them. Yes, there may be some third-party tools available that can provide you with this information, however, Facebook is not a big fan of this, and they are trying to remove those kind of applications. Facebook Audience Insights on the other hand is something completely different. It’s a powerful feature in your Ads Manager which provides you with deeper insights to the kind of people that is engaging with your brand. Keep in mind, you cannot see the data on a specific user, however, you can see insights like the gender breakdown of your audience, interest insights like what kind other pages are your followers engaging with and what kind of content are they interested in, etc. This allows you to better understand your own audience, so you can improve your communication and messaging on the platform. This also gives you more insights on how to improve future ads.